Table Mountain- One of the more well known mountains in Africa, resting on the outskirts of Cape Town and Named one of the new 7 wonders of nature it is a definite must see. You can take a cable car ride up to the top and look over the city or even take a day hike to the top where you can have a drink at the restaurant and loose your breath over the gorgeous cape coastal views. 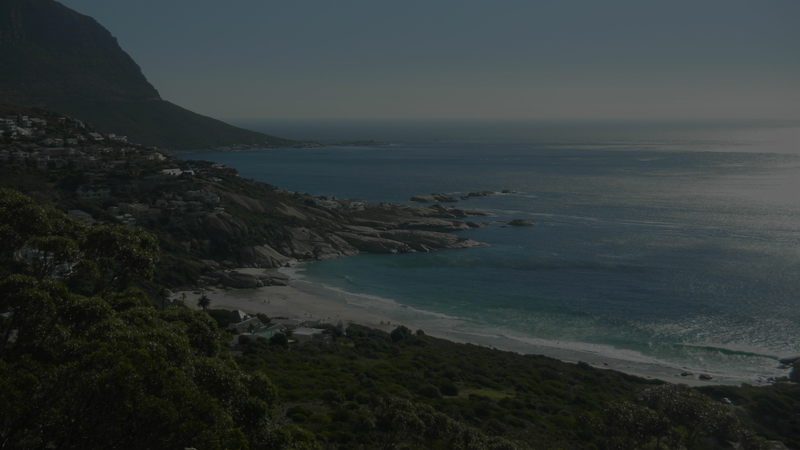 Cape Point & Boulders Beach– Journey to the southern most tip of Africa and see where the Atlantic and Indian Ocean meet. This area is well known for penguin sightings which makes for great photo opportunities. As the location is close to Cape Town this can be included in a day tour from the city. Shark Diving– For those who seek a little more adventure than just a city tour, you can set sail off the coast of the cape where the very well known great white sharks reside. You will climb into a cage where you will have the opportunity to get up close and personal with some of the underwater beasts.